families and create a health culture amongst our patients. We’re here to make sure your family grows up healthy. El Cajon chiropractor, Dr. Gina Caserma and our knowledgeable team truly care about your well-being. If Inspire Life Chiropractic isn’t the right place for you, we’ll make sure you find it. We’re all mothers and understand the emotions that accompany the amazing experience of motherhood. You’ll get support from us each step of the way. 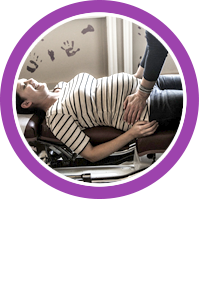 Inspire Life Chiropractic is the go-to office for all things pregnancy chiropractic, pediatric chiropractic and family wellness care. 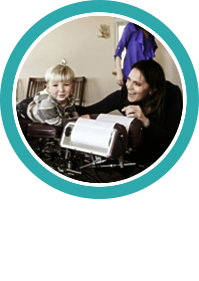 Our passion is helping moms, babies and kids live to their highest health potential. Chiropractic care offers your family a solid foundation for wellness. Throughout pregnancy, birth and childhood, the chiropractic lifestyle offers choices and benefits for your greater health and well-being. Our conservative approach will help your body to heal on its own. Health is your birthright! It’s gratifying for us to see the positive effects chiropractic can have on our patients. Many moms, for example, may experience the stress and frustration of not being able to nurse their baby or get their baby to be able to sleep. Chiropractic can help your baby sleep better, and you feel better, both mentally and physically. 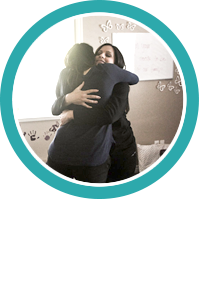 Our facility is extremely unique, and probably unlike any other doctor’s office that you have been to because of the philosophy that we share with each patient; when providing care, we focus on the entire person and all of their lifestyle choices as well. We’ve been serving our community with quality chiropractic care for nearly two decades. 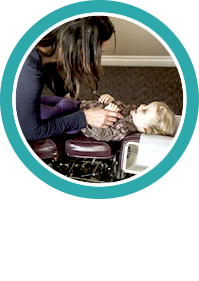 With Dr. Gina’s concentration in prenatal and pediatric chiropractic, we’re here to serve your entire family. We look forward to meeting you. Contact our office today to schedule your time. "Our knowledgeable team truly cares about your well-being and wants to make sure your family grows up healthy."